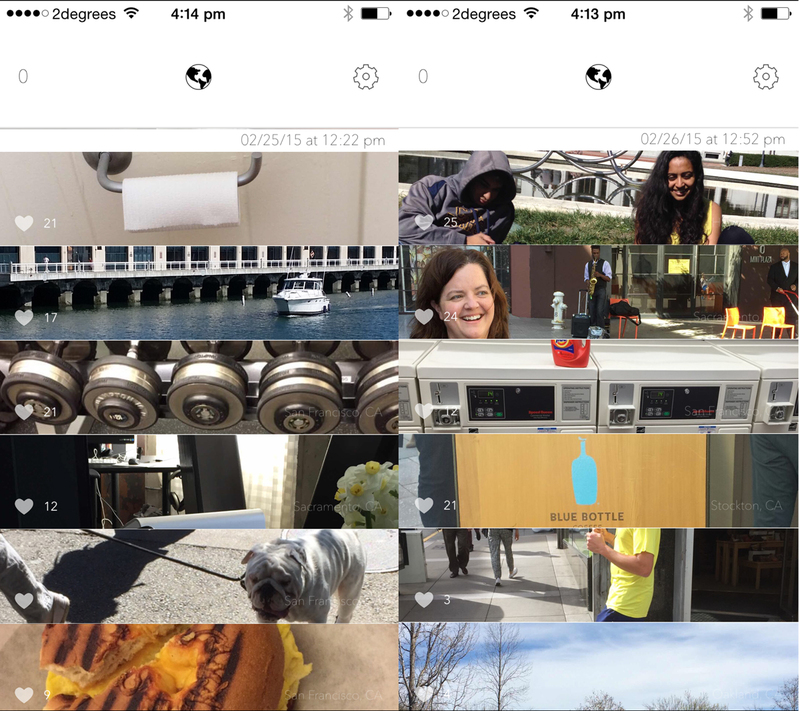 A new app called oneminute has as a unique spin on sharing images and experiences with the world. 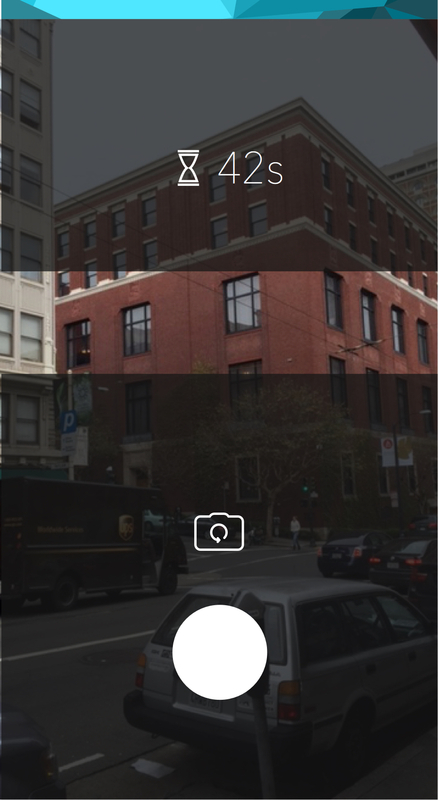 Every day oneminute gives you a single opportunity via push notification to take a photo, but you’ve got to take the shot within sixty seconds of being prompted. You won’t know when that minute is coming, and if you miss it, you won’t get another chance until tomorrow. After the minute has passed, the photos taken during that time are combined into a glimpse of what that day looked like in that moment. There’s something amazing about seeing a single sixty seconds boiled down to a bunch of spontaneous, anonymous photos spontaneously taken around the world. Other than that, oneminute doesn’t actually do much else. You can like photos and browse through previous minutes and that’s about it… until the next minute rolls around tomorrow. You simply get a fleeting view into the world around you and a brief opportunity to share your experience. Alex Kwon, co-creator of the app formerly worked at Samsung on the concept creation team and came up with the idea when staring blankly into his monitor, wondering what was happening around the world at that very moment. He says that the entire app is built to enhance spontaneity. By forcing you to react to an unexpected notification, you get a more candid view of the world. I love the sheer simplicity and candid nature of oneminute; it’s a welcome departure from the perfect world of Instagram for a brief moment each day.